The Spanish can be intense. 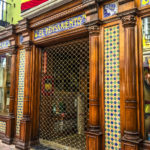 You know it when you walk into a restaurant in Spain: If the noise level isn’t over 90 decibels, look at your watch. It’s not 10 pm yet. In the south, in Andalucia, they’ve built their towns on defensible hills, fortified against attack, with steep climbs to achieve them. 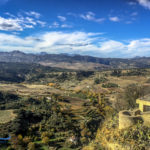 A famous one, Ronda, I saw for the first time last November, in 2017. 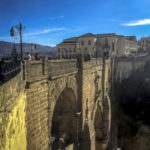 The insanely hot summer had finally given way to the colder winds of late fall, and we walked the white-washed Ronda’s paved streets to see the bridge for which the tourists buy postcards. 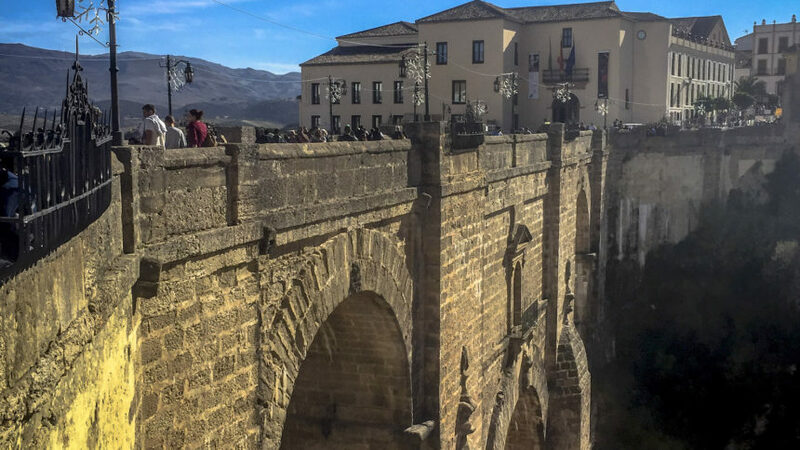 Precipitously dropping to the river below, the bridge in 2018 withstood the torrents that flooded southern Spain’s Costa del Sol—images of the roaring water made you cringe for its salvation. But it outlasted the deluge. Such awe-fulling sights can send you into a brooding state, questioning life’s temporary moments of joy. 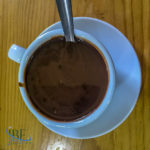 One of these is the Spaniard’s hot chocolate–simply chocolate, because it’s so creamy and thick you could stand up a churro in a cup of it. Only the deep mahogany drink, like the dark wood all around, can balm your soul during such serious contemplation.